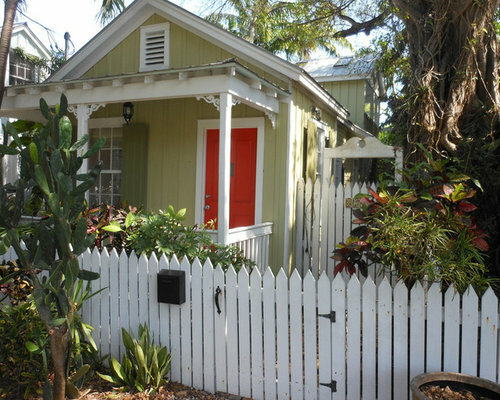 These historic wood-frame houses are located in the Old Town and Meadows districts in Key West, FL. With all of these projects, nonconforming additions and substandard materials were removed and the houses were completely restored using more historically appropriate materials and architectural details. Interior spaces were redesigned to maximize indoor-outdoor living and incorporate modern conveniences. New rear porches, pools, and decking were also added. Each of the projects has been honored with the Historic Florida Keys Foundation's Ceramic Star - the highest award bestowed by the Foundation - or the Foundation's Certificate of Excellence. 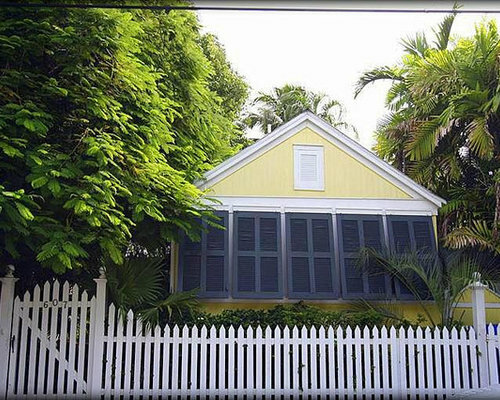 A view of the Petronia Street House, a traditional 3 bay two story wood framed historic house in the Meadows area of Key West. 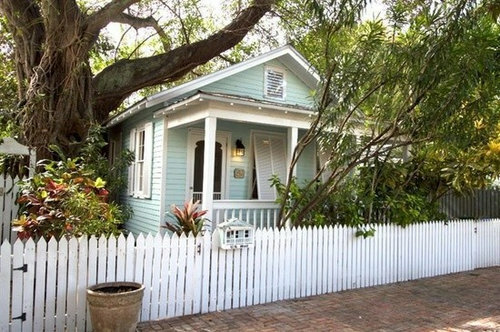 The exterior was completely restored to its former glory, removing an unattractive enclosed upper porch, repairing trim and wood siding, and repainting. A brick paved driveway provides off-street parking. 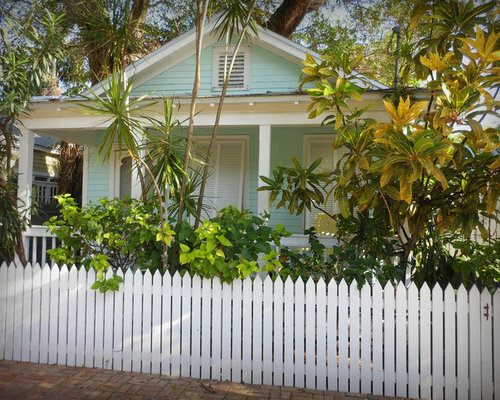 A view of the Carsten Lane House, a restored and renovated classic cigar-maker's conch cottage on a secluded lane in Old Town, Key West, FL. 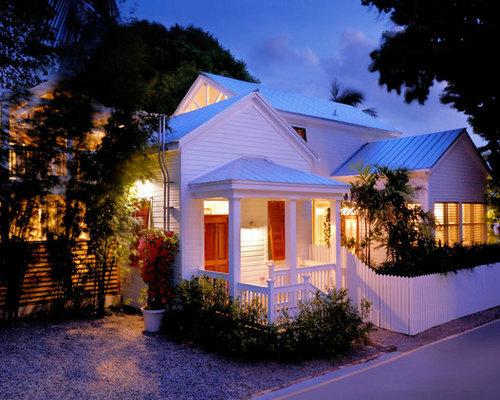 The cottage was sensitively restored repairing and replacing traditional material in kind, including the original wood double-hung windows, wood siding, and original interior Dade County pine floors. Another view of the Carsten Lane House. 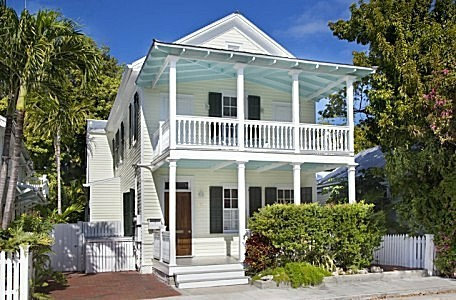 The Elizabeth Street House, a renovated and restored historic conch cottage, is located in the Old Town district of Key West. 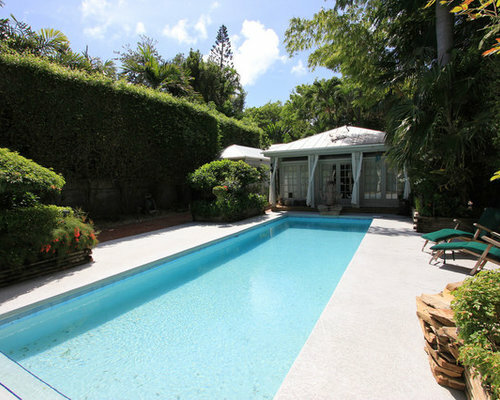 An addition was constructed and the interior living area was renovated to create a larger open living space with french doors opening to the rear porch, gardens, and pool. 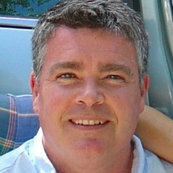 Interior design services were also provided.